As was the case last year, the high point of 2018's Gray's School of Art's degree show is the painting. Unlike other Scottish art school's where painting has been absorbed into fine art programmes or sits alongside other mediums, painting at Gray's occupies its own department and attracts by far the most students, with the only other fine art programme being 'contemporary art practice'. The relative isolation of the painting department is at odds with the works produced however; with artists consistently interrogating other mediums through paint, and making works that blur and challenge the definition of what painting can be. Elliott Cookson, for example, makes paintings that are wholly photographic; they are direct copies of photographs reproduced through the medium of paint – it's Richter-esque, with the paint mixed to capture the materiality of the object it represents, right down to the faded image, disturbed by time and light. Hannah Gibson embellishes the edges of her canvases with ceramics, cast from rope or molded into more abstract shapes. They reflect the strange forms and marks she creates within the picture plane – guiding the eye between dimensions. Hannah Stirling describes her paintings as 'insanely textured' – they are arguably relief sculpture; with heavy blobs of paint practically peeling off the canvas. 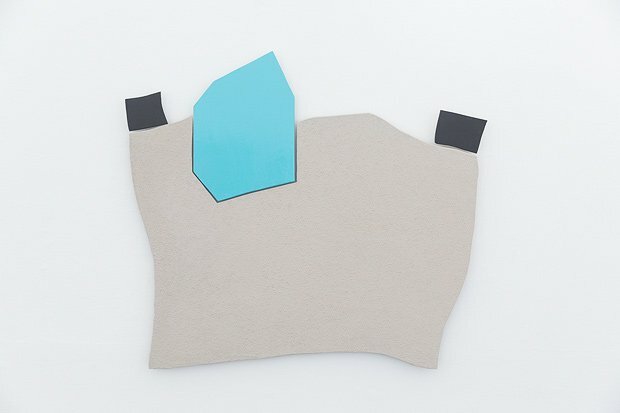 While Kate Avery playfully cuts her canvases into shapes of objects made directly from memory, and like memory, some are distinguishable – like potted plants, while others fade, verging on total abstraction – representations known only to the artist. Gray's art school may lie on the periphery of the city of Aberdeen, which is itself cut off from the hubbub of the Scottish central belt where the other major art schools are located, but this exhibition shows it to be central to the development of new Scottish painting. Grays School of Art, Aberdeen, exhibition ended.